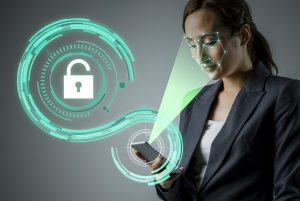 Restricting Biometric Technology Limits Public Safety Efforts | HOBI International, Inc.
Facial recognition may be a relatively new technology, but it is also an innate skill that we’re born with. Having our tech devices mimic our own facial recognition skills provides tremendous new conveniences that streamline our lives. This emerging technology already helps us to unlock our phones and doors, bypass the need to remember passwords and expedite security clearance at airports. And falling in line with other new technologies, facial recognition’s rising popularity has attracted the attention of privacy advocates, civil rights groups and government regulators. For example, Illinois enacted a law that enables lawsuits against facial recognition services, which caused Nest and Shutterfly to no longer offer service to the state’s consumers. And just last year, a member of the New York City Council proposed rules that would have severely curtailed the use of facial recognition. It is apparent that facial recognition technology is just the latest in a series of innovations that have triggered a rush to regulate among policymakers despite public enthusiasm for new services and devices using the technology. Experts say efforts by states to limit the use of such technology not only harms public safety but deters innovation and technological advancement. This rush to restrict facial recognition stalls the many benefits we stand to gain from the technology. Not only do we benefit from facial recognition as consumers, but also the impact on public safety can be life changing. As criminals grow inevitably more sophisticated, we must help law enforcement to keep up. A recent survey from the Center for Data Innovation revealed that the public does not share the governmental hunger to regulate technology. Few Americans (25 percent) polled said they want government to play a heavy-handed role when it comes to facial recognition. Meanwhile, a majority (55 percent) say they support the technology when considering the impact on public safety and security. Furthermore, the survey found that three out of four Americans think governments should avoid strict limits on the use of such technology. Women in particular are opposed, with only 14 percent supporting limits on facial recognition at the expense of public safety. This survey makes clear that the public is warming to the idea that effective facial recognition is a valuable technology. While opponents of the technology point to potential violations of civil rights and personal privacy, at the end of the day, facial recognition is merely a lead-generation tool—helping law enforcement narrow-down the list of potential suspects the same way looking through a mug-shot book would. The challenge for us all will be ensuring that new laws and lawsuits do not get in the way of growing public comfort with the technology. Our laws should foster and guide innovation, not inhibit it. Legislation must allow the public to enjoy the life-enhancing benefits that new technologies may offer, particularly when new technologies enhance the safety of our families and communities, and preserve our national security.